British animals will not be recognised as sentient beings after Brexit. Act now! On November 20, a majority of the UK's members of parliament voted that animals would no longer be recognised as "sentient beings", meaning non-human animals are incapable are feeling pain or having emotions. This loss of legislation when the UK leaves the EU, could set back animal welfare laws in UK by decades. 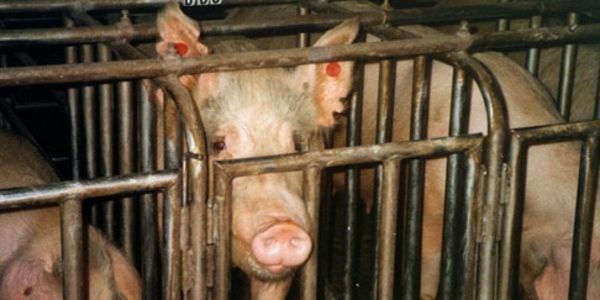 Care2 member, Brigitta G. created this urgent petition to fight back. Please SIGN and SHARE! I have taken the wording from another petition from Compassion in World Farming! I can't believe the UK government is leaving out this very important issue: If the government gets its way, animals will no longer be recognised as sentient beings and the government will no longer being required to pay full regard to their welfare. THIS IS UNACCEPTABLE !!! In current EU law, animals are recognised as sentient beings, acknowledging their ability to feel pain, suffer and also experience joy. No one who has seen a cow going outside for the first time after a winter indoors, a hen dust bathing, or a pig wallowing in a fresh patch of mud would disagree with that. The law says that as animals are sentient beings, full regard must be given to their welfare when creating new legislation or regulations. The Repeal Bill, which moves all European law into UK law once we leave the EU, has left out this important protection. It is completely absent; both the recognition of animals as sentient beings, and the requirement for governments to pay "full regard" to their welfare. Once the UK leaves the EU, we cannot be sure that future Governments will still treat animals as sentient beings. Please demand that the clause is brought into UK law. Sign and SHARE my petition today! Although this is great news and a step in the right direction we must keep up the pressure to let the Government know that we are not trusting in word but only in actions and only at the day it is "law instead of a draft" will we stop!! The Government has responded and finally accepted that crucial animal protections would be lost if this legislation is not replaced with new British laws after Brexit. However, we can't trust them to do so "at some point". Now they accept that the Animal Welfare Act 2006 (which only protects certain species) is insufficient, they have no excuse to leave EU sentience legislation out of British law as part of the Repeal Act. So please keep signing and sharing this petition.